“Skittles” has produced a limited number of foals because of his current showing career. The few foals he has produced show a natural foxtrot as well as beauty and great confirmation. 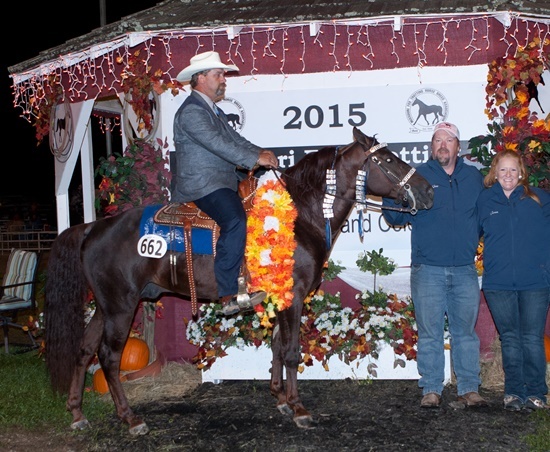 They are easy to handle and have that special “something” that one looks for in quality show horses. 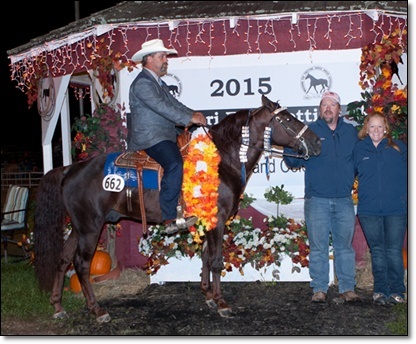 Skittle’s own accomplishments include many titles including Reserve 3 Year Old Futurity, Reserve Open 3 Year Old World Grand Champion, Open 4 Year Old World Grand Champion and NAB Open Senior Champion. Be looking for Skittles to compete in the 2017 Show & Celebration!